The iSpread or iPhone-flash card is an indispensable device for all owners of iPhone. It is our studio developed an appropriate online store on CMS WordPress for such a useful device. 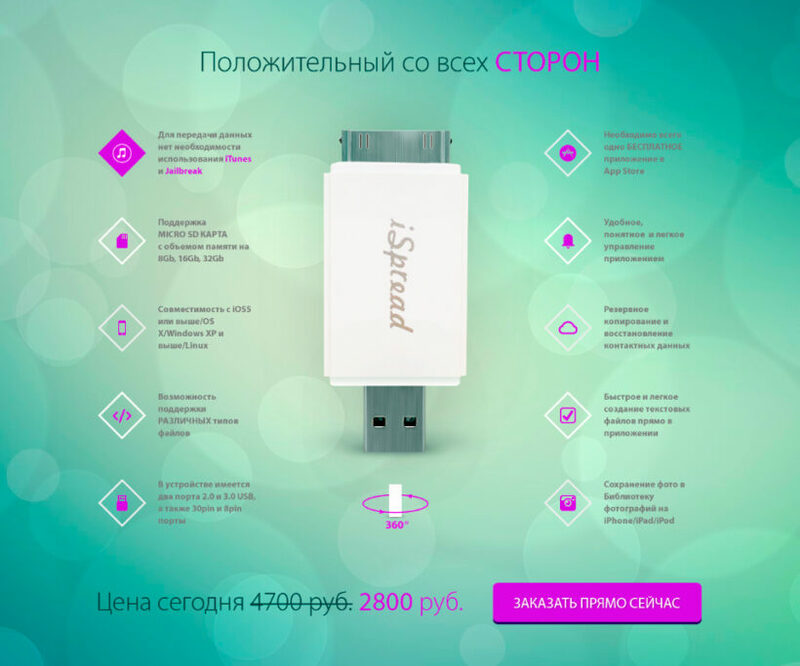 The Landing Page style with a complete and promoting information on one page, with beautiful and colourful illustrations, with the possibility of rotation of the device and sending messages and, of course, shopping. Order page has a special structure with a choice of accessories and Robokassa payment.